No 12 Army Commando - The ‘Irish’ Commando. Volunteers for No 12 Commando gathered in Belfast and Londonderry and marched the 67 miles to Crumlin where the unit was formed on 5th August 1940 under C.O. 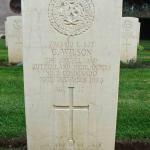 Lt. Col S.S. Harrison MC &bar (nickname Peachy). Drawn from Irish Regiments, and from the 53rd and 61st Divisions who were stationed in Northern ireland at the time, initial training was carried out in various locations including a dummy raid on Aldergrove Airport. From their billets in Crumlin, Co Antrim, early in 1941 the Commando moved to Warsash on the Hamble River but were there only a short time before moving to Inveraray in April for amphibious training. No 12 Commando remained outside the Special Service Brigade system and operated mostly under the original Commando idea of small raiding parties and sabotage groups. Elements from No 12 Commando took part in many of the early raids, a list of which can be found HERE. On 27th/28th February 1942 men from No 12 provided a recovery party for the Airborne Bruneval raid. Bringing men prisoners and radar safely back home. No 12’s first action against the enemy was on 26th December 1941 ‘Anklet’ in the Lofoten Islands. An earlier planned raid by No 12 ‘Chess’ on 27th July that year had been aborted.The Commando later provided a detachment of 3 Officers & 13 OR's for ‘Chariot’ the raid on St.Nazaire. After this raid No12 became split into two ,one half operating against the Norwegian Coast ,‘Northforce’ ,the remainder operating against the French coast in the Forfar operations. Men from No 12 also operated with the Small Scale Raiding Force (S.S.R.F.) and with the covert No.62 Commando. The raid on Sark ‘Basalt’ on 3rd/4th October 1942 the work of S.S.R.F. and No 12 personnel resulted in the infamous ‘Commando Order’ from Hitler that all captured Commandos were to be shot without exception. 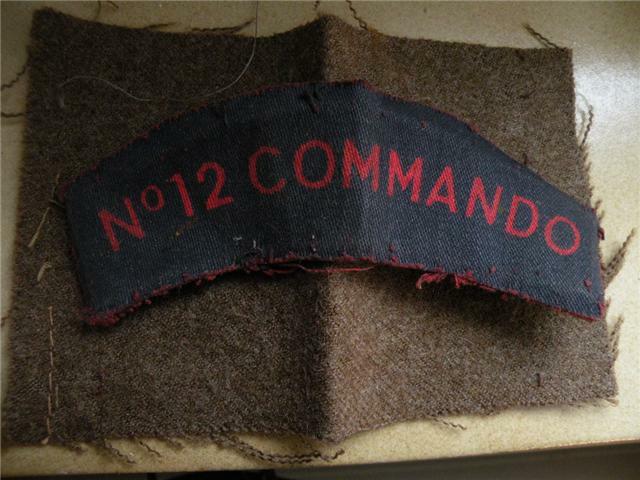 As the Commando role changed from small raiding to shock infantry No 12’s part in Commando operation drew to a close. In the Autumn of 1943 the unit was formerly disbanded and its highly trained men were posted to other Commando units, mainly No 1, No 5, and No 6 Commandos, where they were to serve and fight in all major areas of operations. nb. It is well worth checking the galleries of Nos 1, 5, and 6 as well for the reasons mentioned in the last paragraph above [view No 12 Commando gallery].